I was introduced to Woash Wellness when I met the company’s founder at a local talks event a few months back. I was so intrigued with Cassy’s story and how her company came to be that after the event, I made my way to the back of the room to introduce myself. Cassy had such great energy and was so kind and passionate about her company! 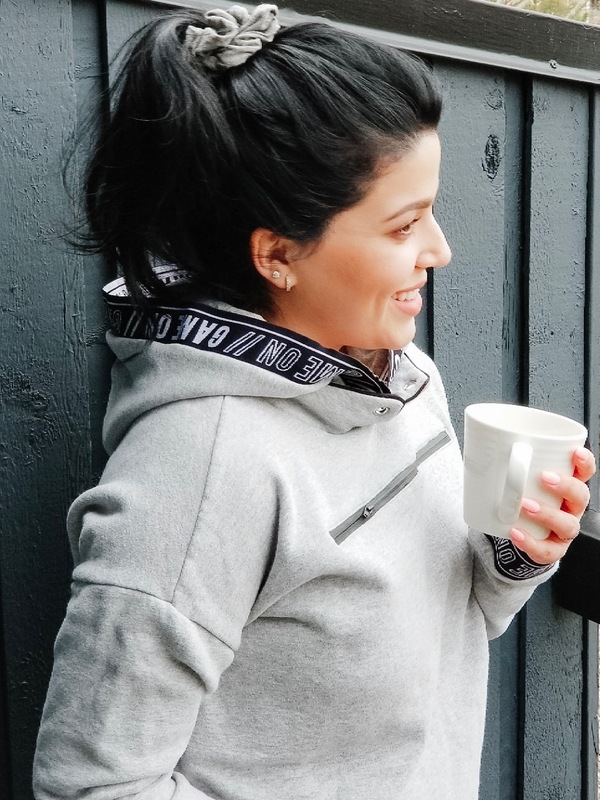 I asked her a few questions about the tea which was available to try and of course, I wanted to feature her on my chai chats (read the interview here). The first tea I tried from Woash was called Digest. I thought it would be best to try because I’m limited to what I can eat and sensitive to almost everything, so having a cup of digest tea at night has been life-saving. I love how it tastes and how instantly it makes my stomach feel better. I found that the Digest tea helped soothe my stomach along with calming it down. You know when your stomach feels jumpy or like something’s going on in there?! Digest tea will help you out with that! I recently reached out to Cassy because I really wanted to work with Woash once again! Like I said, I love the company and its founder and what it represents, but most importantly for its tea! Cassy was ever so kind in letting me try two additional flavours. The first one being Me Time and the second is Pick Me Up. The first thing I do when opening a brand new package of tea is I smell it! Is that weird or does everyone do that? I love to look to see what the texture is like and take in its entire aroma. The Krishna tulsi smell was very prominent and what I noticed first. It reminded me of my grandma’s spice kitchen. When it comes to my own ‘me time’ that usually takes place once dinner is put away and all the dishes are cleaned. That’s when I’ll go take a shower and when I’m done, I will boil some water and get my tea ready. I steep Me Time tea for about 5 to 7 minutes and then I get comfy on the couch, grab a blanket, tea in hand and dive into my PVR. My recordings usually consist of real housewives, Vanderpump Rules, Empire and Star to name a few! Me Time tea has helped me feel very relaxed and almost zen-like while drinking it while watching my shows (it helps to be all cozy too!). This is one of the things I look forward to each day. Going home and unwinding with a cup of tea and my favourite trash TV. What a time to be alive, haha! 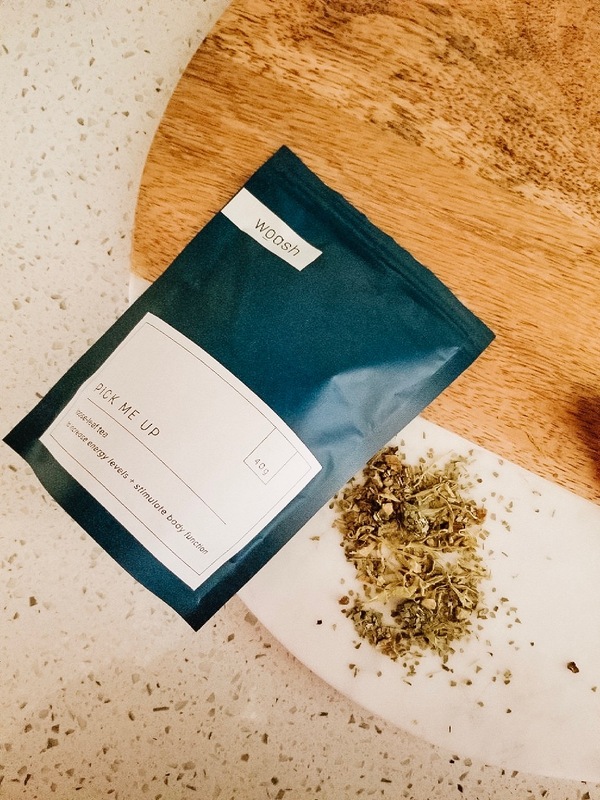 Pick Me Up is great for when you need a boost in energy or a recharge. I brought this tea to work and began drinking it later in the afternoon. That’s usually when I notice that my energy starts slowing down and rather than grabbing another coffee, I have a cup of Pick Me Up. I really like how it smells and the scents that came to my nose first were the lemon peel and cinnamon, which was really refreshing. I steeped the tea for about 4 to 5 minutes and sipped it while working at my desk. 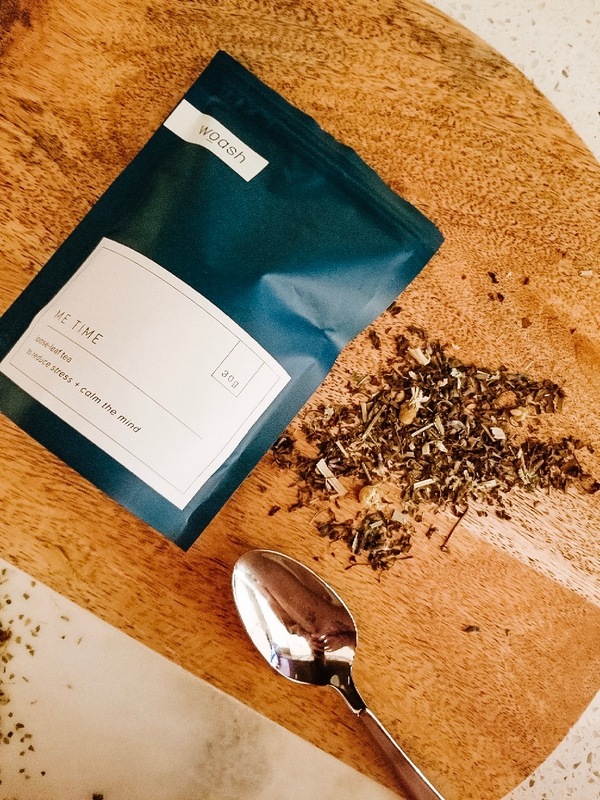 The yerba mate helps boost energy and improves mental focus making it really ideal to have when I usually feel like I need another boost towards the end of the day! What I love most about Woash Wellness is that each tea is so simple and easy to understand. The packaging is clean and clear and the ingredients list makes sense, which is so important when trying to understand what we are putting in our bodies. There is a range of teas available for any need you may have. Whether its issues with digestion, wanting to relax or needing a boost, Woash will have what you are looking for! 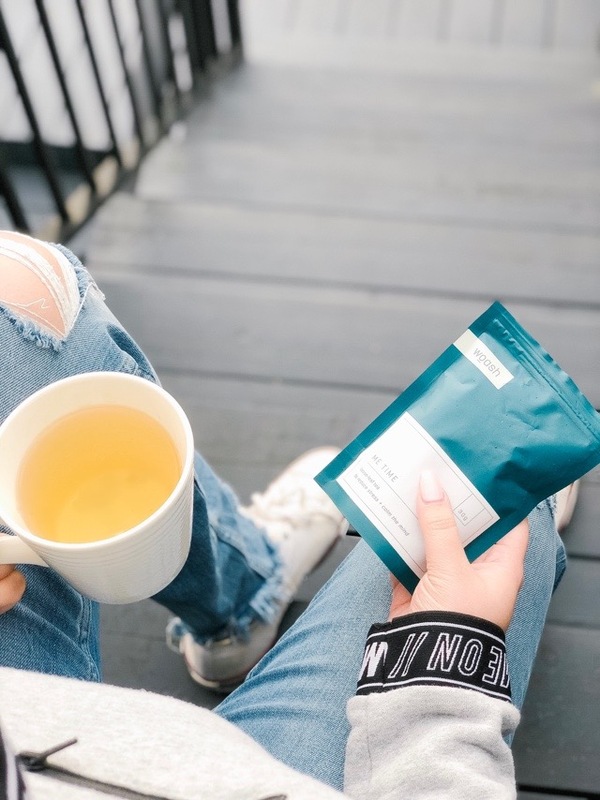 To find out more about the tea blends available at Woash Wellness and the unique needs they support, click here.